Cooking and food are as synonymous with how we celebrate our holidays as anything else: chocolates and those chalky message hearts for Valentine’s Day, big cookouts for The 4th of July, even cake on our birthdays. But there’s one holiday above all that celebrates the coming together of family and friends to give thanks – and stuff our faces with pretty much anything we can get our hands on…as long as there’s gravy on it. It’s the same holiday that a great chef like Bob Belcher takes seriously and plans for throughout the year. With that said…you have met Bob’s family, right? 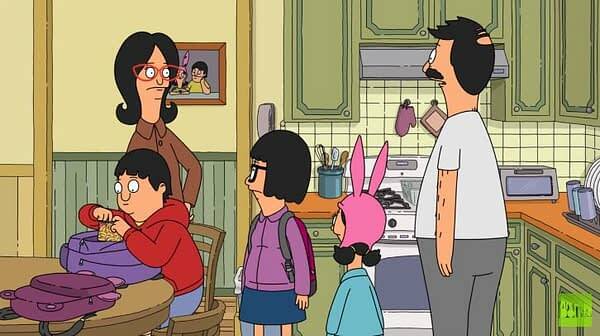 As you can see from the following clip from Sunday night’s holiday-themed episode of Fox‘s Bob’s Burgers ‘I Bob Your Pardon,’ Bob talks turkey – or more precisely, talks to turkey. As Bob readies his roasting masterpiece, Tina, Gene and Louise head out for the town’s inaugural turkey pardoning. Two different worlds brought together by a bit of Belcher bad luck, and what starts as a good deed turns into a raging dumpster fire – with an unwelcome reporter along for the ride. 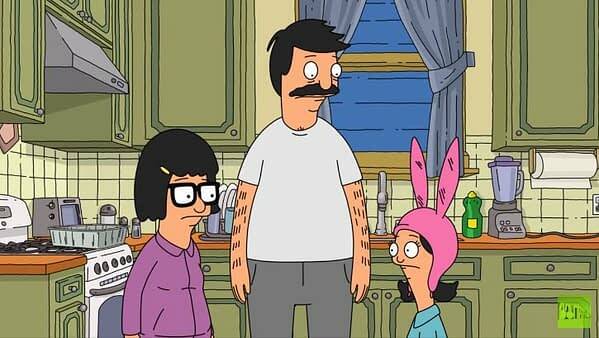 Bob’s Burgers Season 9, Episode 7 ‘I Bob Your Pardon’: The Belchers set out to save a turkey from a trip to the slaughterhouse, but when a local reporter catches wind of their schemes, the mission becomes more complicated than they had anticipated. 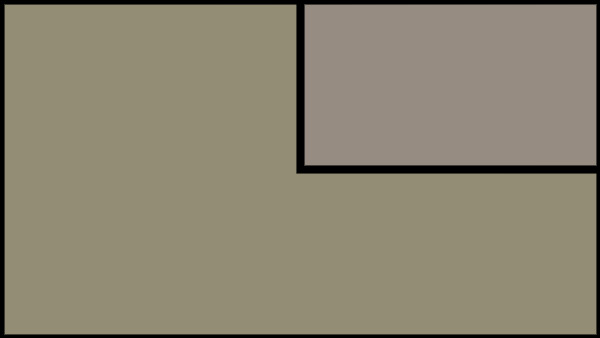 Bob’s Burgers‘ holiday-themed ‘I Bob Your Pardon’ airs Sunday, November 18, at 8:30 p.m. ET on Fox.